There were girl vocal groups and then there were the Shangri-Las. Most groups projected a sweet or innocent persona but the Shangri-Las went for a tough edge. The group was comprised of two sets of twins. Mary & Betty Weiss and Marge & Mary Ann Ganser met in high school. 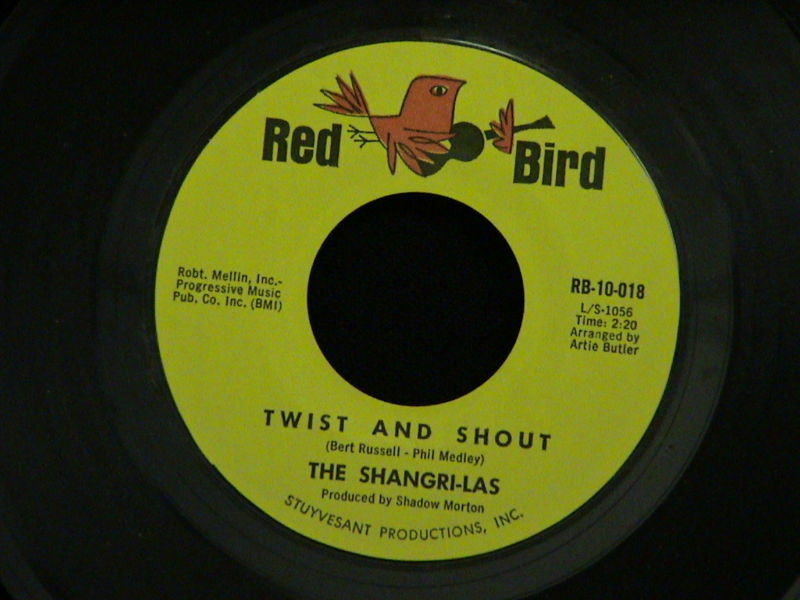 While signed to the Red Bird label, they placed 11 songs on the BILLBOARD Hot 100, 1964-1966. Their greatest moment came in late 1964, when “Leader Of The Pack” reached number one on the Hot 100 for the week of November 28. It was the ultimate song of teen angst complete with motorcycle sounds, and one of the most famous crashes in rock history. Mary Weiss spoke the words and provided the lead vocal. “Leader Of The Pack” remains one of the most recognizable songs of the 1960’s. “Past, Present And Future” was the last of their chart singles. Released during June of 1966, it peaked at number 59 on the BLILLBOARD MAGAZINE Pop Singles Chart. They would continue to record for several years and have a couple of reunions but their commercial success had come to an end. They made their mark as one of the original tough girl groups of rock and roll. The Shangri-Las reunited a number of times down through the years but by the mid-1990s both of the Gansar sisters were deceased and the Shangri-Las were no more. Mary Weiss returned full time to performing and recording as a solo artist during the 2000s. “Stop and Think It Over” was a failed single but the music was good and it was nice to have her back. The Shangri-Las were a tough girl group from New York City. Two sets of sisters formed the group; Mary & Betty Weiss and Marge and Mary Anne Ganzer. They had a dozen or so pop hits during the mid 1960s. Mary Anne passed away at the age of 22. The other three reunited a few times down through the decades until Marge’s death during 1996. They were best known for their songs of teen angst, with “Leader Of The Pack,” “I Can Never Go Home Anymore,” and “Give Us Your Blessings” being the best of that type of song. Their first hit, and their second biggest, was a departure from their hits of loss and death. 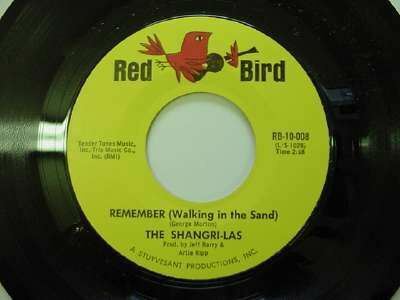 “Remember (Walkin’ In The Sand)” was released during 1964 and reached number five on the BILLBOARD MAGAZINE Pop Singles Chart. It was the first composition by Shadow Morton and he used the Shangri-Las on the demo. An unknown pianist named Billy Joel was paid $67 to play on the demo. It marked the beginning of Morton’s and the Shangri-Las long career. “I Can Never Go Home Anymore” was their third and last single to reach the top ten. Released November 6, 1965, it reached number six on the BILLBOAED MAGAZINE Pop Singles Chart. The lyrics tell the story of love lost, which would represent the highlights of their career. The Shangri-Las would have three big hits of teen angst and loss during their career. 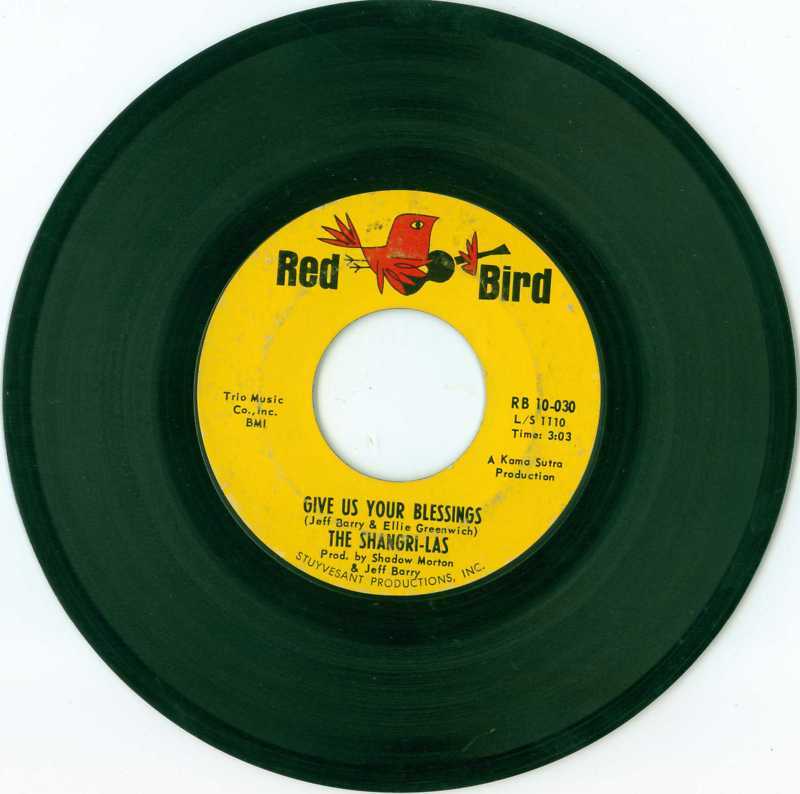 “Give Us Your Blessings” was released May 29, 1965 and would reach number 29 on the BILLBOARD MAGAZINE Pop Singles Chart. The song was about the teenage girl asking for her parents blessing regarding her new boyfriend. Naturally things did not turn out well. Their popularity would be short as all 11 of their chart singles occurred 1964-1966. They put forward a tough girl attitude and their material was unique. Their songs are best experienced in short bursts. 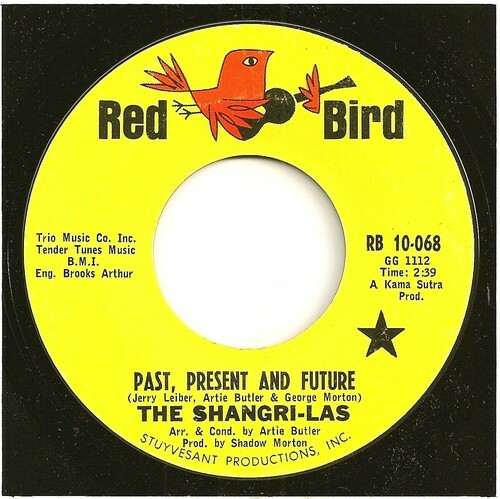 The Shangri-Las are best remembered for their songs of teen angst. Songs such as “Leader Of The Pack,” “Give Us Your Blessings,” and “I Can Never Go Home Anymore,” all became hits during the mid-1960’s. They charted 11 singles between 1964-1966. Every once in awhile they went in a different direction and so it was with the flip side of one of their hits, “Give Him A Great Big Kiss.” It was one of the often recorded songs of the 1960’s, and while their rendition may not have been among the best, at least it was interesting as it was performed by a girls group. 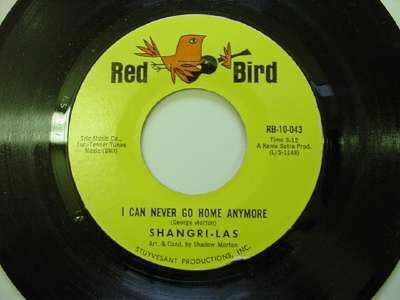 One of the things I learned early in my collecting career was to always turn the 45 single releases over and give the B side a chance. You are currently browsing the archives for the Shangri-Las Reviews category.